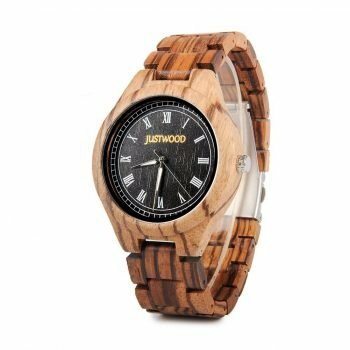 The Carlos “Mr Big” Wooden Watch is a larger than life, stylish men’s watch which oozes masculinity and ruggedness. 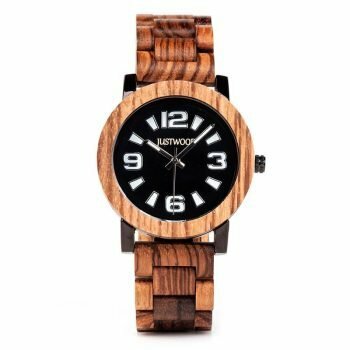 The massive 51mm case is handcrafted from Ebony Wood and finished with a Red Sandalwood bezel. The dial consists of easy to see chrome indicators and 3 micro dials (‘minutes’ for stopwatch function, seconds for main time and the 3rd dial displays 24 hour time). The large ‘seconds’ hand acts as the ‘seconds’ indicator for the stopwatch function which is controlled by the 2 side buttons. 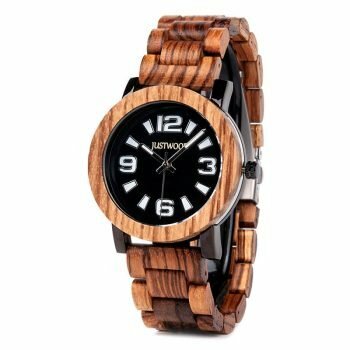 The matching oversized band suits the largest of wrists however links can easily be removed for a perfect fit if needed. 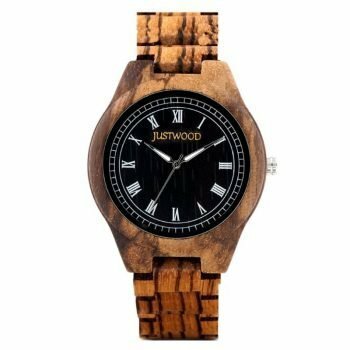 Make a statement when you walk into the room wearing the Carlos “Mr Big” Mens Wooden Watch.